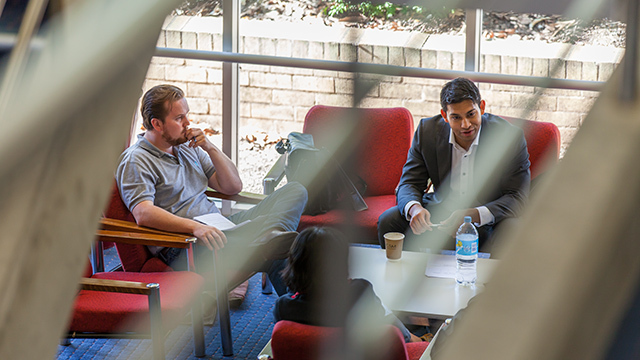 The Macquarie University Central Commencement program is a compulsory program for all new HDR candidates. The program is normally run during February and July each year. Candidates have the option of attending a 1 day presentation or completing the program online. The Divisional Commencement Program is a compulsory program that provides advice on managing a research project. The MGSM Research Office will contact you if you are required to attend the program. The MGSM Divisional Commencement Program is normally held during March of each year for candidates admitted to one of our research programs within the past 12 months. As a part of the induction, the MGSM Research Office have developed a Candidate Induction Survey which must be completed by the candidate. Through this survey, the MGSM Research Office hope's to identify and address any areas for which the candidate may require more information. In this way, The MGSM Research Office can ensure that candidates have the best research experience possible during their time in the Higher Degree Research (HDR) Program at MGSM. There is also an opportunity for the candidate to provide the MGSM Research Office with feedback on the Induction Process. Candidates are required to take the Candidate Induction Survey when they have completed the Induction Process. Orientation programs provide students with valuable information about settling in Australia. Orientation aims to provide a smooth transition for international students locating to a new culture and physical environment. Please visit the Macquarie University Orientation Page for more information on upcoming sessions.